I dont know what compelled them to change everything but this "new sleek design and style update" did not take the basics of user experience into consideration. As a result, i am bombarded with an annoying interface that wont disappear which is really distracting from reading ACTUAL contents of the magazine. The scrolling within each page is already confusing enough. I'd give 0 stars for the app that decides to put priority in copying Net-a-Porter instead of paying attention to the purpose of a magazine. But i cant give 0, so here's 1 undeserved star instead. My digital page I wasn’t able to open at all for error and they renew automatically as you know. It’s hard to get in count at w them, also I finally cancel via email and went to their website remembered id and password and all, however I received an email again a week later saying it will be automatically renew!! I just got off the phone w their rep, said it was only cancel paper(mail) and digital was still under subscription. Plus half of pages are commercial.. not much to read.. Since the switch to the MAZ platform the customer experience is horrible. Providing feedback to the editor and app provided had zero results. You pay for a magazine subscription and hope to see the full page instead of nag bars on top and bottom. You also continuously jump from the magazine to yet another ad in the browser. Harper’s BAZAAR is published by Hearst Magazines Division, Hearst Communications, Inc. © 2018. 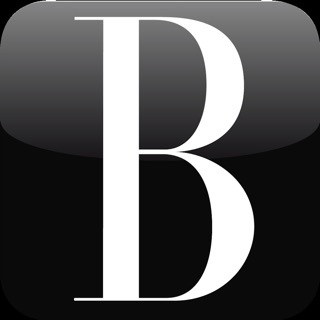 Harper’s BAZAAR is a registered trademark of Hearst Communications, Inc.